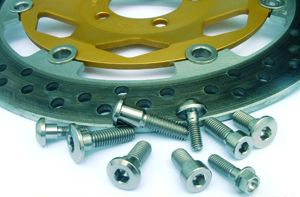 LighTech offers titanium parts for specific applications such as titanium brake rotor bolts, titanium brake caliper bolts, titanium cush drive pins, and even titanium nuts and washers. They also offer a full line up of individual screws in different shapes / sizes. LighTech Titanium Rotor Bolts - Titanium rotor bolt lets you replace your stock stainless steel with bolts that are just as strong but 45% lighter!! If you're looking for more weight reduction you should also check out the Brembo T-Drive Rotors for incredibly light brake rotors! LighTech Titanium Caliper Bolts - Titanium caliper bolts are probably the easiest way to start saving weight with titanium components. Make sure you know the length you need when you're ordering, length varies according to application and rotor size. 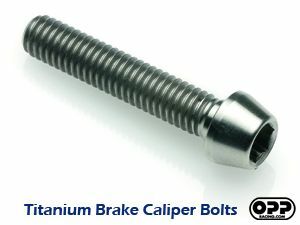 These caliper bolts are great with the ultra high end Brembo Monobloc Brake Calipers! Titanium Cush Drive Pins - If you're reducing weight with a new set of wheels, make sure to get the matching Titanium cush drive pins! The cush drive is a rotating mass so weight reduction here will also reduce the gyroscopic effect of the wheels yielding better performance! 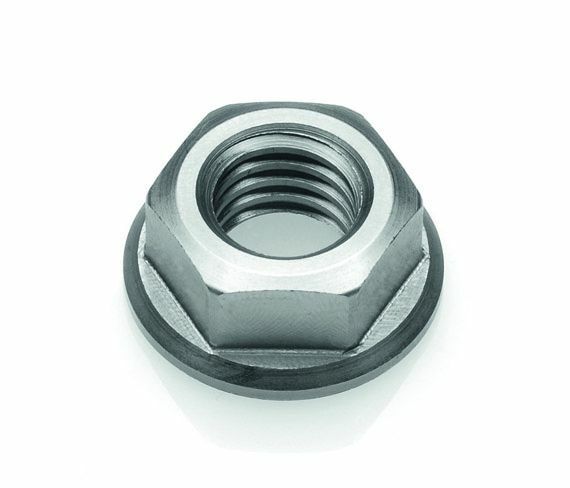 LighTech Titanium Nuts / Titanium Nut - Go all out with titanium nuts and washers. The more stainless steel components you can replace the lighter your bike! Used by top racers! Looking for a just few screws? Don't want to deal with the hassle of a minimum order quantity? We've got what you need! LighTech is a premiere provider for World Superbike racing and offers a huge array of screws in different head styles, sizes, lengths, thread pitches, colors and materials. 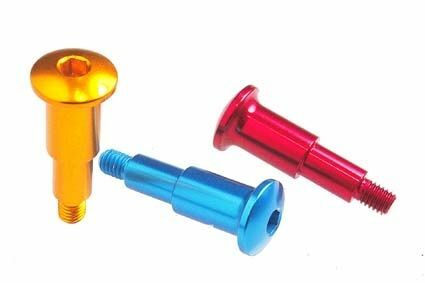 Aluminum anodized screws will give your bike custom color accents or just replace that one pesky missing screw. If you're looking for complete replacement screw kits, please refer to the LighTech Aluminum Nut & Bolt Replacement Kits. Special bolts come in a variety of specifications and sizes for unique applications. Click into the section for more info.